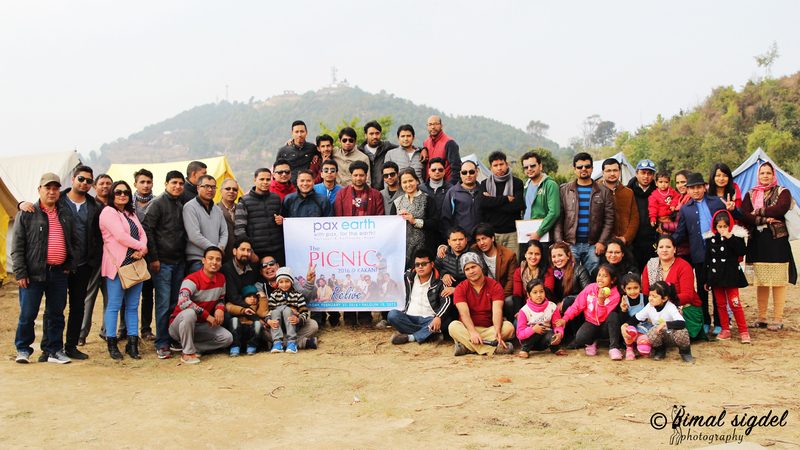 On February 27, Pax Earth organised a picnic program for members and well-wishers at International Training Centre of Nepal Scouts situated at Kakani VDC of Nuwakot district of Nepal after almost three years. Members and well-wishers could survive the greatest earthquake and toughest blockades in their generation. Picnic organising committee (POC), thus, gave a theme “RELIVE” to encourage everyone to make most out of his/her life and live the fullest. It was to provide a refreshment after the earthquake, aftershocks and blockades far away from their hectic daily lives. Beating everyone’s expectation, including nine kids, fifty eight persons attended the picnic. Kakani lies about 25 Km northwest of Kathmandu (about one and half hour of driving from Kathmandu) at an altitude of 2000m above sea level. It offers a magnificent view of majestic peaks stretching from Ganesh Himal to Annapurna and Dhaulagiri ranges of Himalayas. Many travel to this place to enjoy sunrise and sunset. There is an unusual perfect blending of the imposing mountain scenery with the more sylvan environment of the lower valleys. Located amid such a magnificent atmosphere, the International Training Centre offers an excellent recreational destination for all people. The centre is well equipped with facilities such as access to water, electricity, toilets, kitchen equipment and dining halls. Hence, the spot is quite appropriate for all sort of enjoyments and adventure in a natural setting. The assembly point was set at Mitrapark from 7:30 to 8:00 in the morning. But, it clicked 9:30 while all participants were assembled. Till the previous night, it was expected that the participants would be in the range between 35 and 40 but it was surprising to discover more than 50 pax at the assembly point. The POC, considering the early estimates, had arranged just a 35-seater bus but it was not enough. Arranging extra microvan along with the bus, they headed for Kakani at 9:30am. 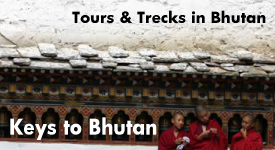 The one and half hour journey from Kathmandu through Kakani was enthralling with presence of the green fields, forests and mountain scenery. The whole journey was full of fun with music, songs, caricatures and gossips. They arrived at the spot at 11:30am. Green forests and White Mountains were welcoming each of the participants. The catering team led-by well-wisher and owner of Malla Catering & Tent House Ashok Malla was already in Kakani and prepared the breakfast before the arrival of the participants. Right after the arrival, his team served breakfast to the participants who were already hungry due to the long traveling. 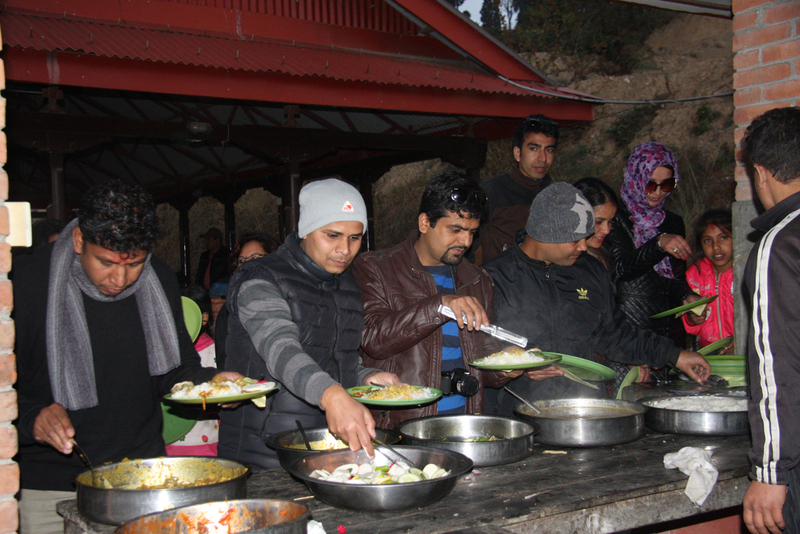 Each participant was served teas, bread, boiled eggs and gram curry. All the participants assembled at the ground for introduction and ice-breaking sessions. Capitalising the opportunity, photographer Bimal Sigdel set a place for a group photo and took some photos. President Sujan Koirala asked every participant to give a brief self-introduction. Beginning with coordinator Bal Gopal Shrestha, one by one, all participants gave their self-introduction. It was amazing to collect participants from different walks of life – from housewives to students; teachers to bankers; graphic designers to businessmen; dentists to essayists; consultants to students. Bringing participants from different walks of life at a spot –was itself a remarkable attainment. Renowned essayist Yubaraj Nayaghare, the celebrity and role model for many youths, was the main attraction of the program. He wished for the grand success of the picnic. 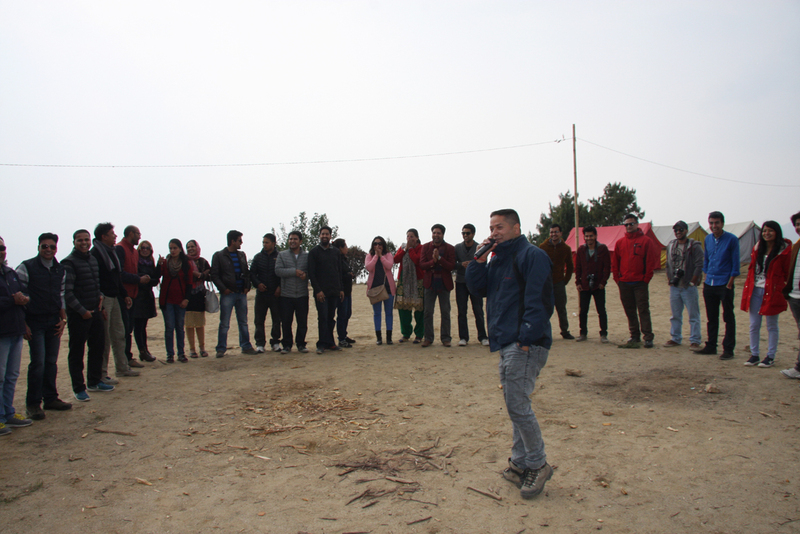 President Sujan Koirala then conducted two ice-breaking sessions to help the participants know each other. He tried to ice-break the participants with two order games –name alphabet and age. Joint coordinator Laxman Prasad Neupane and Manohar Sapkota took no time in setting the multimedia. Listening to the various blend of music, the participants hit the dance floor. 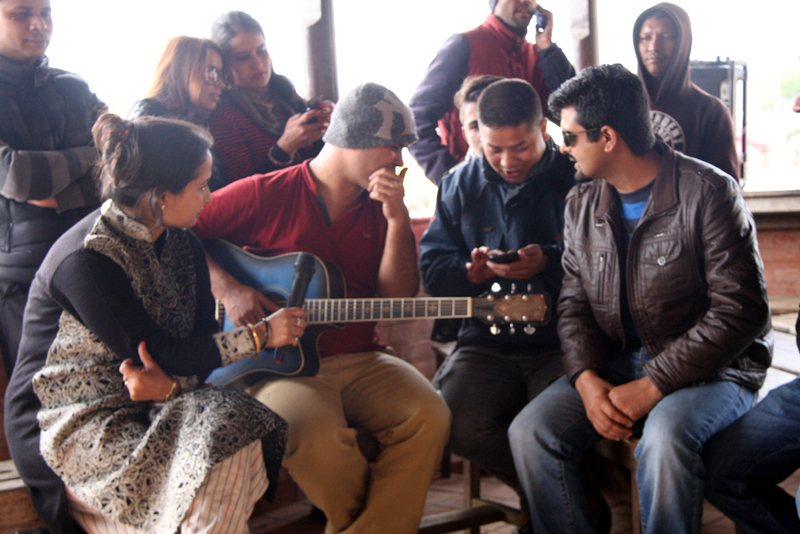 Manohar Sapkota, Sujan Koirala, Rajani Poudyal, Binod P. Mainali, Debraj Ghimire, Bimal Sigdel and Suman Sharma sang some popular and a few mind-blowing patriotic songs including “Jaha chhan Buddha ka aankha” and “Yo Karmabhumi ko anganma”. 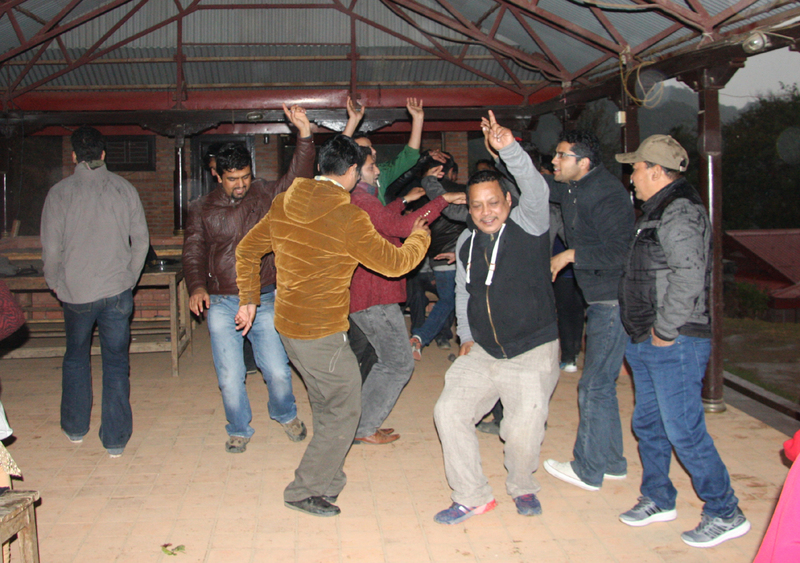 Then, DJ Kumar Nagarkoti invited all to hit the dance floor with some Nepali, Hindi and Western numbers. The atmosphere was so electrifying that the participants could not resist them from hitting the dance floor with their dancing steps. After half an hour’s non-stop, it was time for snacks. Catering team served a delicious mix of snacks –beaten rice, buff chili, chicken roast, onion pakoda, peanuts, prown and potato pickle. 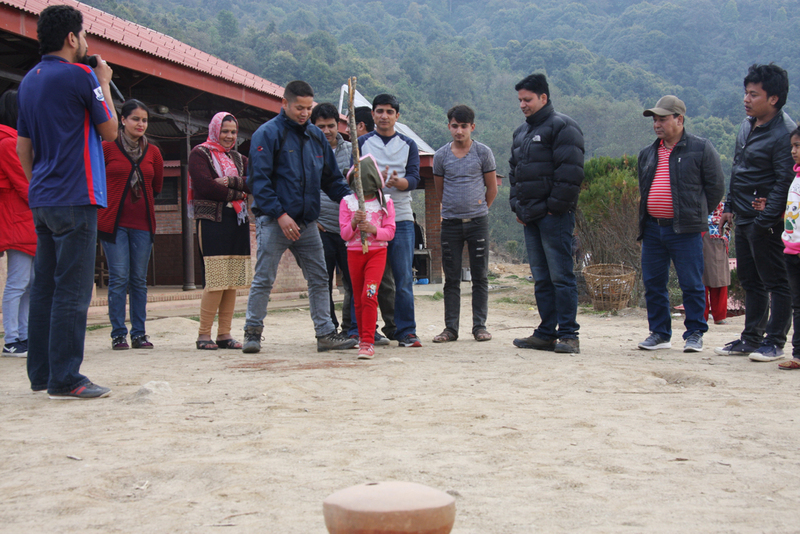 After the snacks, the participants assembled again at the ground to play handi futaune (breaking the clay pot) game. 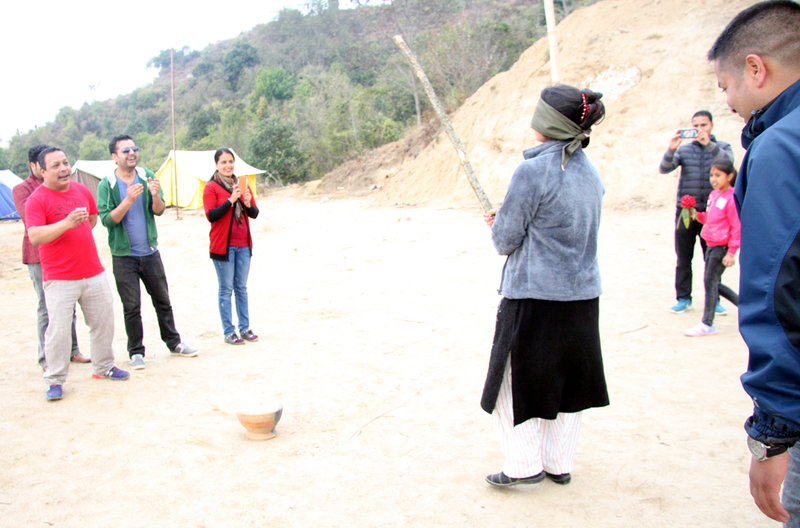 In this game, each participant was blindfolded, handed a stick and asked to break a handi set in a certain distant. Starting with essayist Nayaghare, about 25 participants took part in the game. This was full of fun because the face and the reaction of the participants who missed to break the handi by some inches was worth-watching. Out of 25, 2 persons (Rajani Poudyal and Prastab Ghimire) could broke the handi but both genuinely revealed that they could see the handi from the blindfolded eyes as their knot was not properly tied. So, none of the participants could break the handi genuinely. This program was coordinated by president Koirala, vice president Guna Raj Pyakurel and board member Laxman B. Pahari. After this game, the dance floor again hit with Nepali, Hindi and English numbers. Some started to play cricket, some enjoyed playing cards, some roaming around for capturing moments in their mobile and cameras. 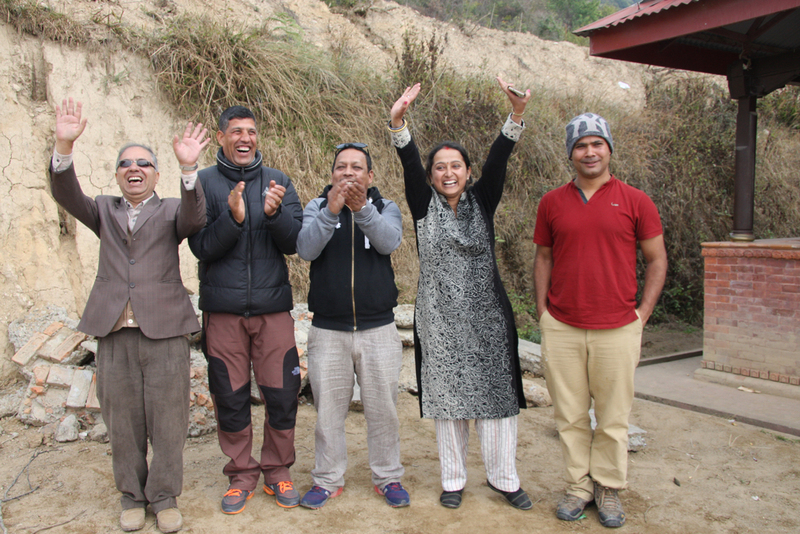 The excitement got momentum when joint coordinator Neupane announced the opening of the sale of bingo tickets. 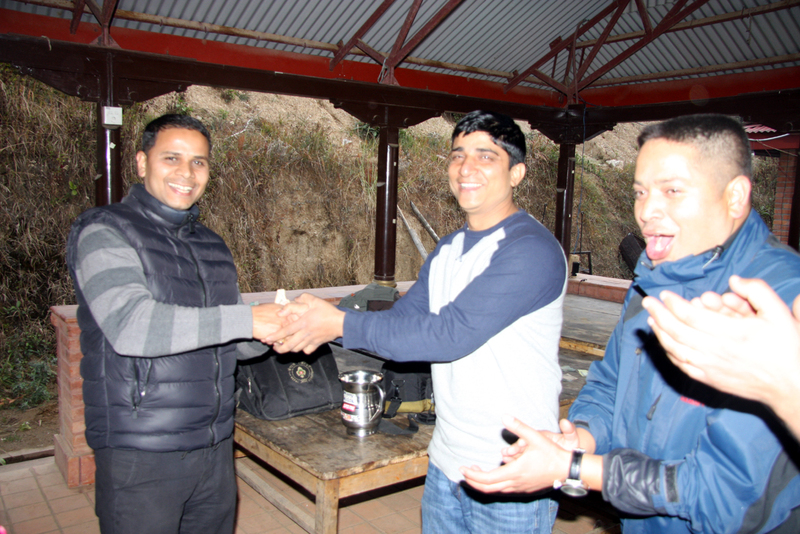 Led by Neupane, the bingo team (president Koirala and member Badri Sigdel) conducted the whole program thrillingly. Each time, when a number was picked and about to announce, the heartbeat and the voice of the participants reached at the highest level. What a lucky day for member Debraj Ghimire to win the full house. Ashok Malla, Manju Timalsina, Anmol Mainali, Guna Raj Pyakurel and Ojaswi Karki were the other lucky winners winning first five, first line, second line and third line. After the thrilling Bingo, the catering team served a delicious lunch – rice, lentil, mutton curry, mushroom and spinach curry, tomato pickle, salad and papad. Fruit salad was served as dessert. Participants resumed dancing right after the lunch. Some kept on capturing memory in their cameras and mobile phones. The time passed so rapidly the participants could not even realise that the clock had already hit 5:30pm. When they were about to leave the picnic spot, the rain started to fall. The unexpected rainfall turned out be a major obstacle for us as it turned the road into muddy one. As a result, the microvan stuck at a stone on the road. After two hours relentless team effort led by member Kapil Deuja – pulling and pushing microvan along with digging and cleaning the way, the participants could manage to take microvan out from the obstruction of the stone. Thanks to the courtesy of scout brothers who helped the participants in bringing out the microvan. The appearance and clothes of the participants were worth-watching – totally wet and covered with mud. Once again, it proved that the team-spirit backed by never say die and never give up attitude of the participants led to resolve the problem. It was already 8:00pm while the participants left for Kathmandu. The singing and dancing resumed in the bus and microvan on the way back to Kathmandu. The excitement came to an end after arriving in Kathmandu at 10:00pm. To sum up the picnic, it was “a well blend of friends, music, dance, singing songs, games, selfie, cards, bingo, cricket, foods, drinks, hike, snaps, excitement, freak out, rain, road obstruction, team-spirit led solution.” The survivors of the greatest earthquake and tough blockades could get refreshed in the natural setting away from their hectic daily schedules. It offered a platform to discover new friends and boost friendship between the members and well-wishers. Yeah, it cannot be denied that it would have been more fun had they arrived at the venue a few hours earlier. Still, the participants could enjoy at the fullest. Even the picnic was not yet finished, a question and reaction kept on coming to the POC again and again, “When will be the next picnic? Please do not forget to inform me for the next picnic…” These questions and reactions of the participants indicate towards the success of the picnic. The spirit of the picnic reflects that we should never give up and live the life at the fullest. Let’s “RELIVE” each and every moment! The picnic would not have been so successful had not there been some helping hands. Pax Earth, first and foremost, would like to thank all the participants for their active participation and cooperation for making it a grand event. Pax Earth would like to thank all the spirited youths led by member Kapil Deuja for making it possible to bring the microvan out from the trouble. Pax Earth would also like to thank respected essayist Yubaraj Nayaghare for his valuable presence and inspiring address for the youths. Special thanks to Ashok Malla and all staff of Malla Catering & Tent Service for serving delicious meals throughout the day. Pax Earth is equally thankful to the coordinators of ice-breaking session, games and bingo. Last but not the least, hats-off to picnic coordinator Bal Gopal Shrestha, joint coordinator Laxman Prasad Neupane and other members of POC for managing the whole picnic brilliantly.